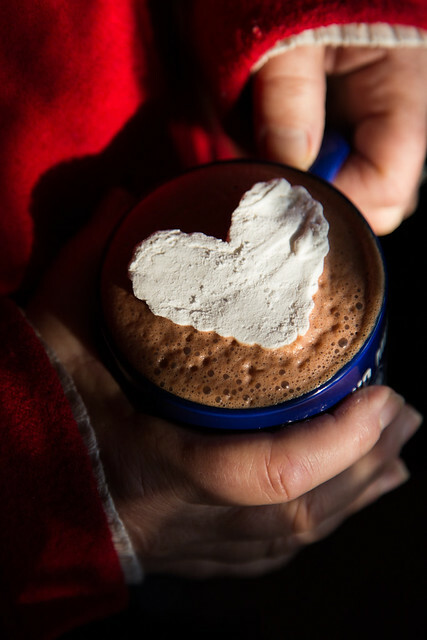 The question is not what would you do with homemade heart-shaped marshmallows, but what wouldn’t you do? I made this marshmallow recipe again and this time I cut them into hearts. Because Valentine’s Day is coming, and I want to make sure you’re ready…. ready to express your love in the cutest way possible. 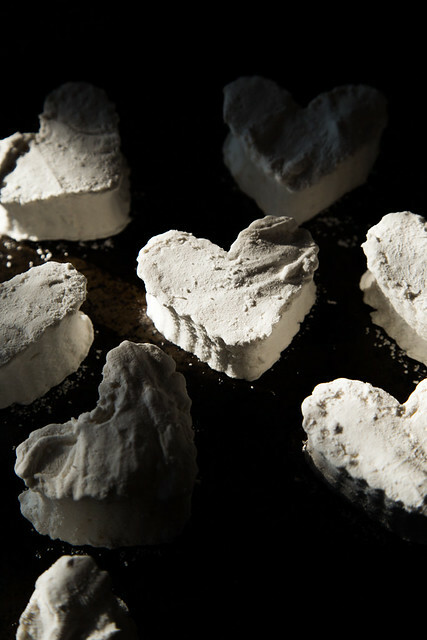 You can make these marshmallows with any of our sugars ~ Vanilla Bean, Lavender, or Ginger ~ whichever suits your Valentine best! Combine gelatin and a 1/4 cup of water in the bowl of your electric mixer. Combine remaining water with granulated and Ginger Sugar, corn syrup, and salt in a small saucepan. Place over medium-high heat, cover and allow to cook for 3 to 4 minutes. At this point uncover and clip a candy thermometer on the side and continue to cook until mixture reaches 240ºF (about 7 or 8 minutes) then remove from the heat. Turn the mixer on low with the whisk attachment. Slowly pour the sugar syrup down the side of the bowl into the gelatin mixture. Once combined, turn the speed to high. Continue to whip until the mixture is thick and lukewarm, about 12 to 15 minutes. While this magic is happening, prepare the pan! Combine the confectioners’ sugar and cornstarch. Spray a 9X9 or 8X8 or 9 inch circular baking pan with nonstick spray. Throw in that sugary white powder mixture and shake it around to fully coat the sides and bottom of the pan. Return the remainder to a bowl for later use. Once the gelatin mixture is ready, pour it into your pan and dust with a light coat of the confectioners’ sugar mixture. Let sit uncovered for at least 4 hours or overnight. Then flip your sheet of marshmallows out onto a cutting board and have at it. Cut big squares, cut small squares, cut letters, or shapes. Get crazy. Go wild. And then coat your freshly cut marshmallows with the remaining sugar mixture and store in an airtight container for three weeks. * Edit: when I first published this downsized recipe I neglected to put the cornsyrup in the list of ingredients!! Luckily someone brought that to my attention. 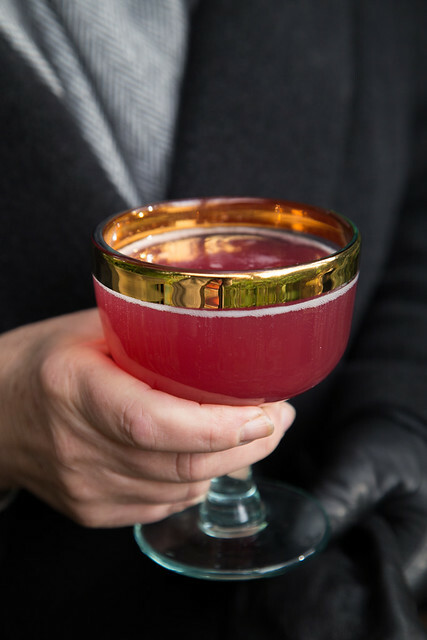 To make a lovely simple syrup for cocktails and sodas combine 1 cup of Ginger Sugar and 1 cup of pomegranate juice* in a small saucepan over medium-high heat until sugar dissolves. Remove from heat and let steep for at least 30 minutes. Strain into a container and use immediately or store for several weeks in your refrigerator. Add a splash to prosecco or ginger ale for a bubbly drink with a bite of ginger! *We juiced fresh pomegranate with our citrus juicer! 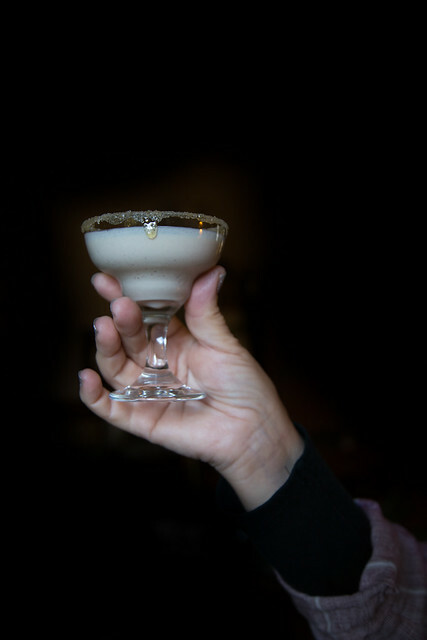 One of my friends sent me this recipe from Smitten Kitchen with a note saying, think about this in a glass rimmed with your Vanilla Bean Sugar. So I had to make it, because doesn’t that sound delicious? If your cacao powder is lumpy, sift it into a small bowl first. Add a splash of heavy cream to the cacao powder and whisk this into a smooth paste. Slowly add more cream, whisking the whole time. Once all cream is added, add condensed milk, vanilla, and whiskey. And that’s it. Use immediately or store for several weeks in your refrigerator in a covered container. Add to coffee, tea, or cocoa for a sweet kick! 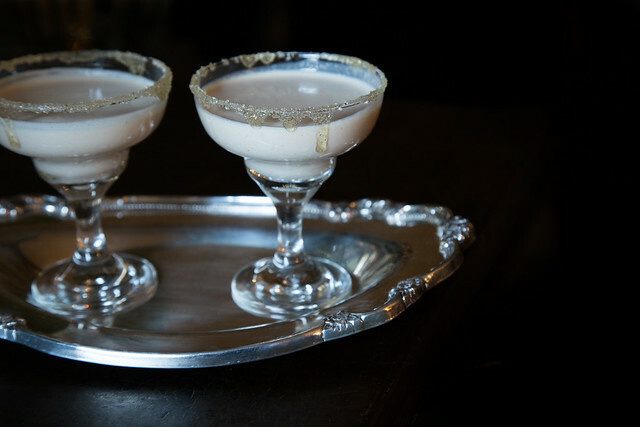 Or for a sweet after-dinner treat, serve in a glass rimmed with honey and Vanilla Bean Sugar. 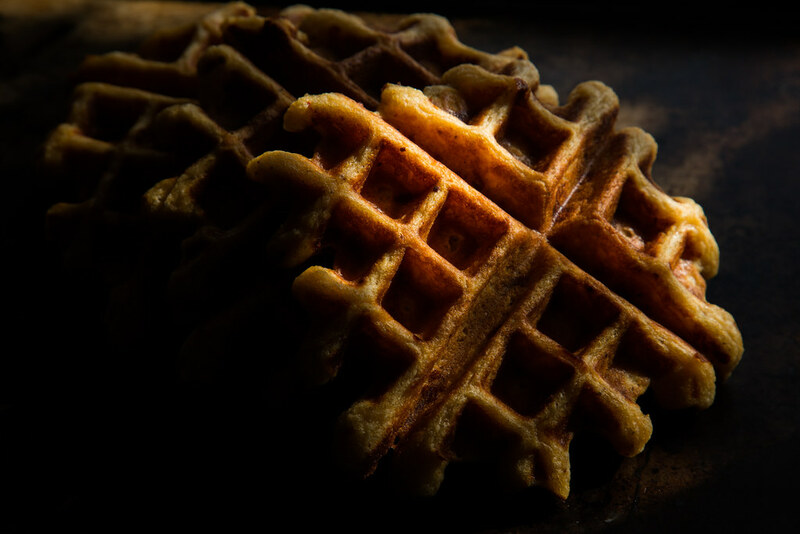 I love waffles ~ light and airy with a slightly crunchy exterior, each little divot presents the perfect little pocket for butter and syrup and fruit! This recipe takes this classic breakfast staple in a more savory direction. 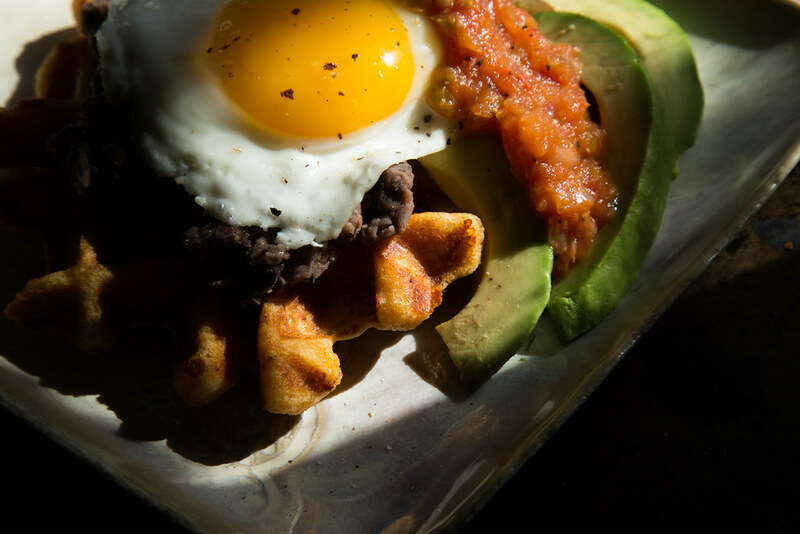 Think of this waffle as the perfect carrier for sausage and gravy, chorizo and guacamole, fried eggs and bbq!!! Combine the first six ingredients. Whisk together eggs, buttermilk, and butter ~ add this to your dry mixture. Stir until combined, add cheese. Cook in an electric waffle iron. Eat these beauties all by themselves or serve with beans, salsa, avocado, and a fried egg!